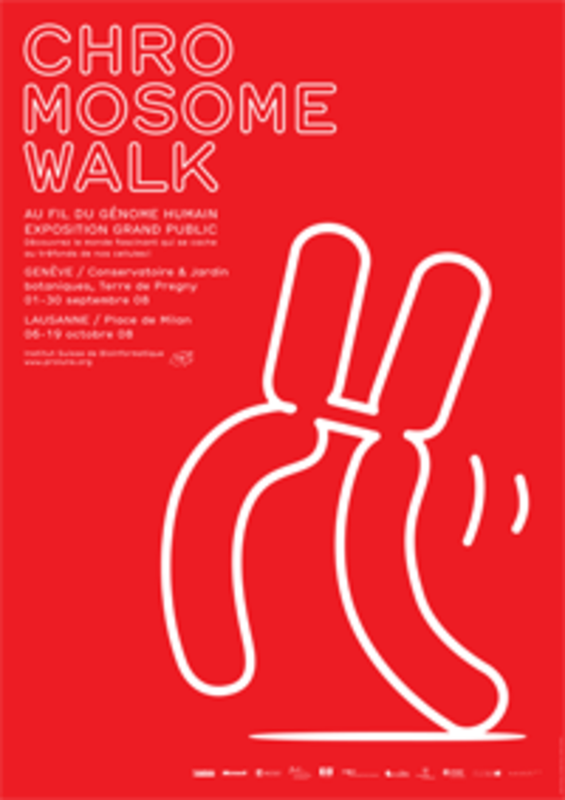 To mark its 10th Anniversary, the Geneva groups of the Swiss Institute of Bioinformatics have decided to offer an exhibition to the general public and imagined a walk along the human genome. During the month of September 2008 in Geneva’s Botanical Gardens, 23 structures each representing one of the 23 pairs of human chromosomes will lead the visitor around the world of genes, proteins and bioinformatics. Our aim is twofold: we would like to inform the layman on the intriguing world of bioinformatics as well as describe a field of research which may inspire adolescents in their choice of a future career. Furthermore, there will be a space reserved for younger children.